As CBRE’s Global President of Retail, Anthony Buono leads more than 800 professionals in providing Advisory & Transaction solutions to retailers and investors across the globe. In this global role, Anthony drives the implementation of CBRE’s global retail strategy in the Americas, Asia Pacific and EMEA (Europe, Middle East and Africa). That includes the company’s Investor and Occupier Retail practices, global Analytics offering and several other services in those categories. In 2017, CBRE’s global Retail business registered 16,225 sales and lease transactions with a total value of $47.3 billion. The International Council of Shopping Centers elected Anthony to its Global Board of Trustees in 2018. Additionally, Anthony continues to oversee the growth of CBRE’s Americas Retail practice into the industry’s retail-market leader, consulting for more than 1,300 retailer brands while managing and leasing more than 400 million sq. ft. of retail property on behalf of retailers and investors. Under Anthony’s leadership, CBRE’s Retail business in the Americas arranged 10,275 sales and lease transactions with a total value of $20.9 billion in 2017. Anthony has been instrumental in authoring CBRE’s strategy to add Retail Science advisory solutions and deepen its transaction competency for world-class retailers and investors. His vision has been successful, catapulting CBRE into a diverse group of business sectors, including predictive science, food and beverage, luxury, street and urban environments, regional malls, restructuring and disposition, consumer experience and international cross border advisory for emerging markets. All of these businesses now are integrated within CBRE, and they deliver distinct solutions for clients that are differentiated in the market today. 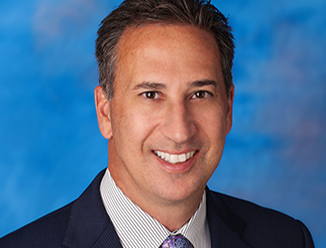 Anthony helped add significant retail talent and expertise to CBRE’s ranks, including playing a key role in CBRE’s acquisitions of Philadelphia-based Fameco in 2013, Dallas-based UCR, Indianapolis-based Site Hawk Retail Real Estate and Chicago-based Forum Analytics in 2015 and Cleveland-based Sky Group in 2016. He also helped guide CBRE’s 2017 formation of a joint venture with Streetsense, a provider of consumer-experience advisory services. Anthony joined CBRE in 1995 and has held various positions within the company, most recently as Executive Managing Director of Retail Advisory & Transaction Services in the Americas. Prior to that, he served as Senior Managing Director of CBRE’s Investment Properties Western Region, where he helped the company achieve 2005 investment sales activity of $48 billion in total consideration, a record at that time. Earlier, he was a Managing Director for Retail Services’ Western Region. Prior to joining CBRE, he held asset management positions for Zurich Kemper, Donahue Schriber and Trizec Hahn, where he directed institutional ownership strategies for industrial, office and retail assets. Featured in national and regional publications including Barron’s, The Wall Street Journal, Shopping Centers Today, Women’s Wear Daily, National Real Estate Investor.